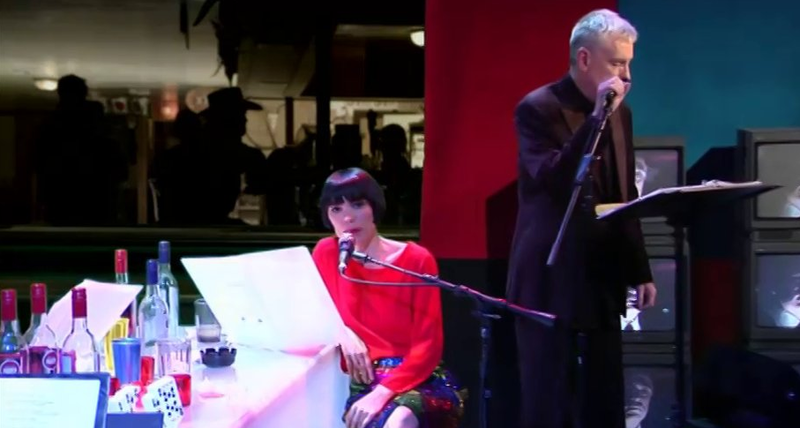 Live television production for Robert Ashley's Vidas Perfectas, as directed by Alex Waterman. Performances include 2014 Whitney Biennial, Ballroom Marfa and Tricky Falls in Texas and Museo de la Revolución en la Frontera in Juarez. Vidas Perfectas - El Patio De Atras (The Backyard) Filmed before a live television audience at the Whitney Museum, NYC April 19, 2014 at 4:30pm EST. Vidas Perfectas is a Spanish-language version of Robert Ashley's groundbreaking “television opera” Perfect Lives (1983). With Ashley's blessing, Alex Waterman directs this all-new production, from a Spanish translation by Javier Sainz de Robles. In the Vidas Perfectas lounge we discover a place where Spanish and English are mutually understood through the transformative and magical act of singing. Originally set in “The Corn Belt” of the Midwest, Vidas Perfectas transports us to the deserts and ranches of the Southwest⎯a vision of (an)other America. 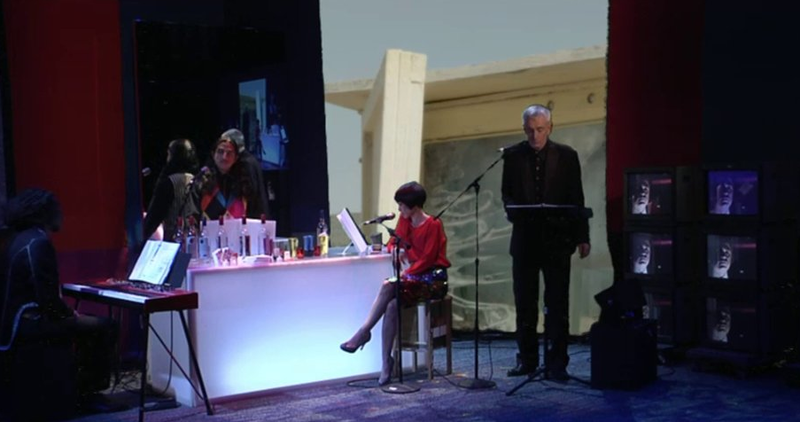 These performances of the work’s seven episodes mark the beginning of the filming and recording of the complete opera in full theatrical staging. All episodes will be filmed in front of a live audience. 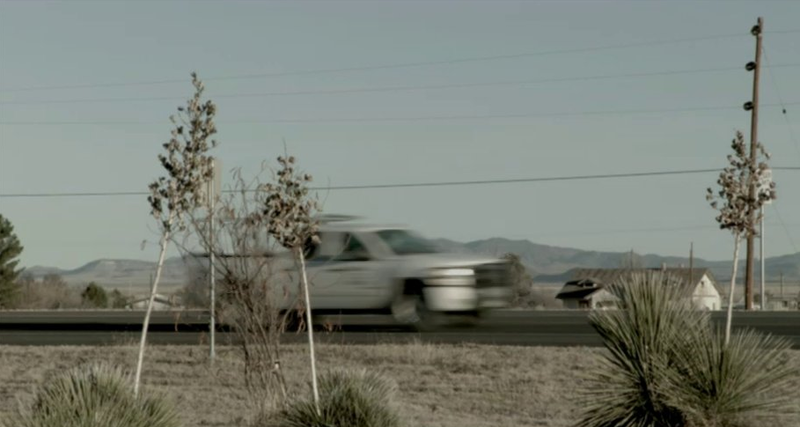 Footage shot on-location in Marfa, Texas, in February 2014 will be mixed with live camera feeds as part of the live television experience. Between the performances, Alex Waterman and E.S.P. TV will use the room as a workspace to rehearse, edit, and prepare footage for live television. Perfect Lives was originally commissioned for television by The Kitchen, New York, in 1979 and was completed in 1983, co-produced by The Kitchen and Channel Four in Great Britain. It was aired on Channel Four in 1983 and 1984, and subsequently on German, Austrian, and Spanish television. Parts of the seven-episode series have been seen on American cable channels and in Japan and Australia. 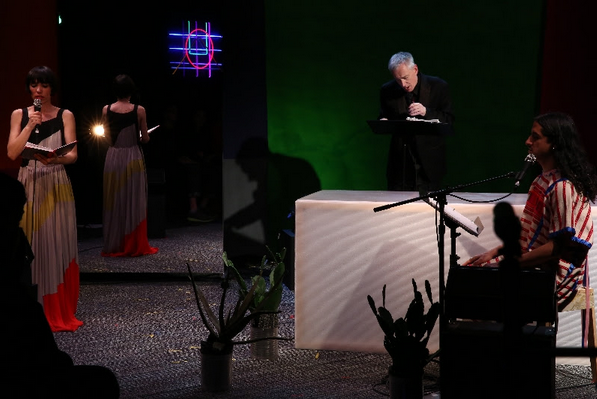 Perfect Lives’ innovative combination of chanting, storytelling, meditation, and ecstatic revelation, challenges the ways in which we perceive the relationship between language and music. It has almost single-handedly changed the way we think about opera, television, and performance. All seven episodes will be compiled and edited for television in Fall 2014.